Passengers, particularly those using the bus to go to school or work, are strongly recommended to check for the revisions using the Traveline website shortly before undertaking their journey, so that they are aware of any changes that have been made. Click on images below to view large pdf version on Traveline website. 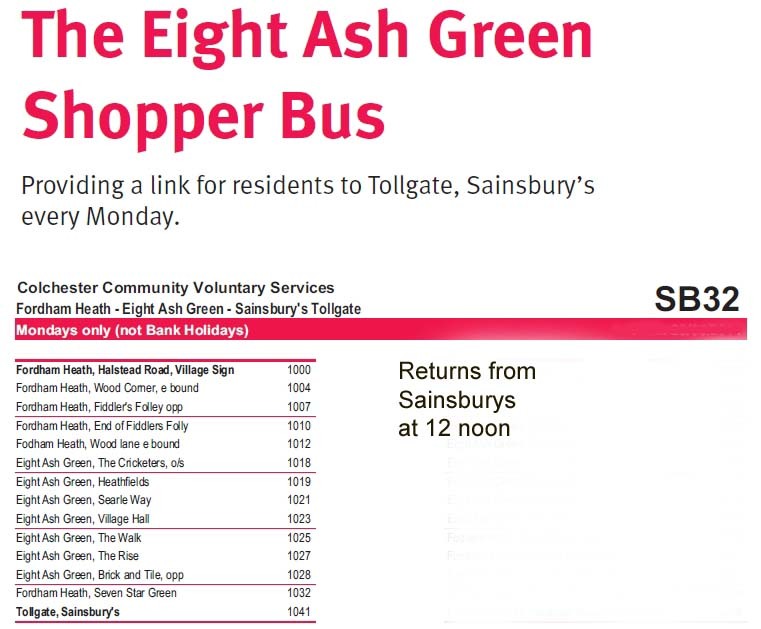 We also have a weekly bus that travels from the Village to Tollgate Sainsbury’s store and back on a Monday.